Is there a way for the X-Men franchise to maybe...sorta...kinda...avoid the third movie? Can they skip it and go right to the fourth? 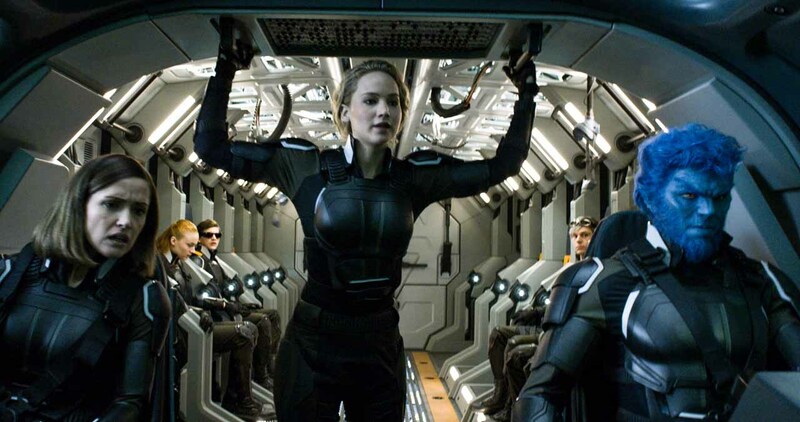 The last time they had a third film it was X-Men: The Last Stand, a stinker brought to you courtesy of Brett Ratner. Bryan Singer's X-Men: Apocalypse is by no means terrible on that level; in fact it's not even bad. It speaks directly to fans of the comic in ways that are amazing at times, and others in ways that are infuriating. But for all of the fan service, the film's overlong 2 1/2 runtime, and minimal plot is what makes it the weakest entry in this latest trilogy. Set in 1983, which we know from the big hair, leather jackets, and an excursion to check out Return of the Jedi, the film is the logical continuation from the time-altering conclusion of X-Men: Days of Future Past. While most of the characters remain the same, we're also introduced to newer, younger versions of established mutants, such as Scott "Cyclops" Summers (Tye Sheridan), Jean Grey (Sophie Turner), and Nightcrawler (Kodi Smit-McPhee). 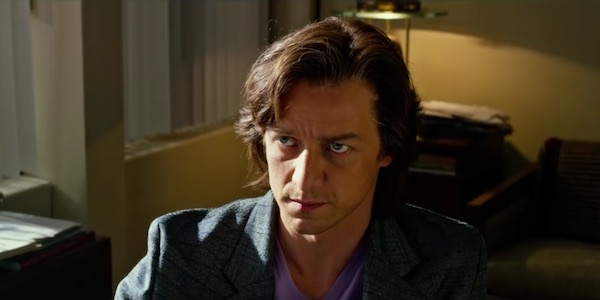 They're part of the new class at the suddenly-crowded School for Gifted Youngsters, which Charles Xavier (James McAvoy, with hair that makes him look like an extra on Miami Vice) opened to teach the next generation of mutants. The incredibly slow 90-minute build sees Singer and screenwriter Simon Kinberg assembling various plot threads that might work individually, but there are so many that none are given ample room to breathe. 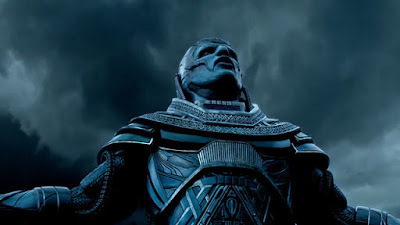 An impressively tense flashback thousands of years introduces us to the immortal villain En Sabah Nur aka Apocalypse (Oscar Isaac underneath all that makeup and armor), who awakens in the present with a plan to make mutants the dominant species. This brings Xavier's former lover Moira MacTaggert (Rose Byrne, not seen since X-Men: First Class) back into the fold, as well as the retired Magneto (Michael Fassbender), who had retired to Poland to start a family. 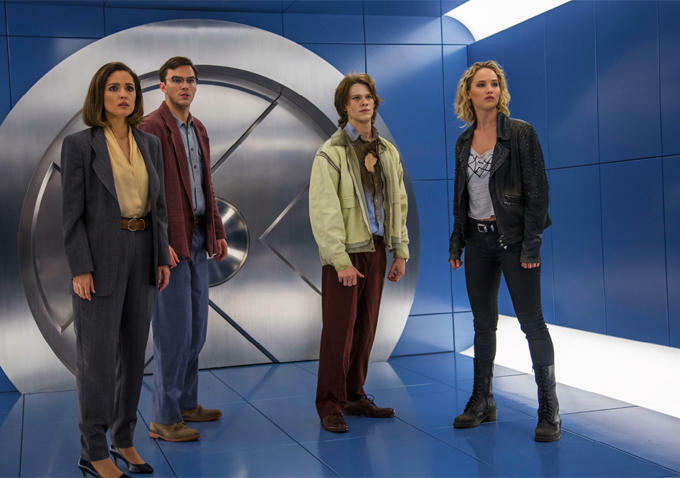 Mystique (Jennifer Lawrence) has gone off to rescue endangered mutants, but wants nothing to do with Xavier or his school. The vast majority of the film is spent watching Apocalypse assemble his Horsemen, recruiting a younger version of Storm (Alexandra Shipp), who is still in her thieving days in Cairo; the telepathic ninja Psylocke (Olivia Munn, given nothing to do but look hot in purple spandex); and Angel (Ben Hardy), who has been fighting in underground cage matches. Of all of these subplots the only one of any emotional resonance is Magneto's. Borrowing liberally from his reworked origin in the 2000s, we see that for a mutant like him, one who has caused such death and destruction, there is no such thing as retiring quietly. 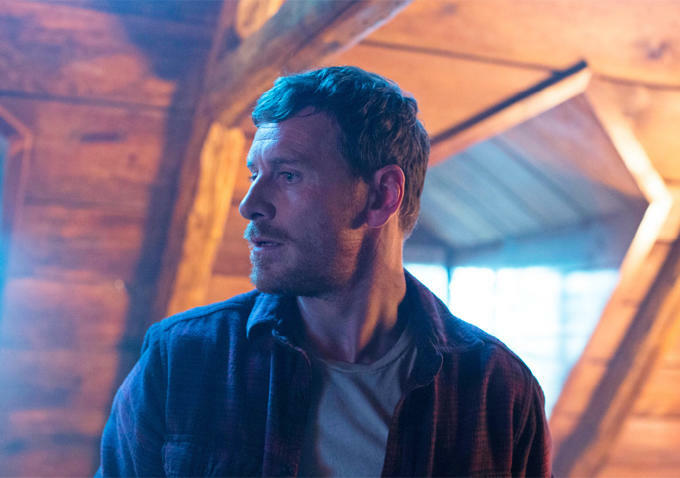 The outside world finds him, and things go tragically bad, leading to some incredibly poor decision-making on Magneto's part. There are other moments that work well because they echo events we've either seen in the past or suggest others we're familiar with. The early, awkward encounters between Cyclops and Jean, along with their easy rapport later on, tease wonderfully their future love affair. The same goes for a diversionary sequence about halfway through involving Wolverine (Hugh Jackman) that captures his Weapon X imprisonment, bloody escape, and future infatuation with Jean in perfect detail. Just as the Chris Claremont-era comics excelled with the soap opera qualities, the movies are best with the little character moments that tell us who these heroes are. On the other hand, Jean Grey proves to be problematic. It seems that the X-Men writers are incapable of using the character without in some way referencing the dreaded "Phoenix Force", which grants her limitless telepathic and telekinetic powers. This time around it isn't just referenced or teased, it's an integral part of the plot, so soon after we saw it used in 'The Last Stand'. The Phoenix should be given a film all of its own to be dealt with, not as one of a dozen other plot threads to be sorted out. Considering the amount of time spent watching Apocalypse round up his forces, you'd think he'd be a marginally interesting villain but that isn't the case. Apocalypse is an all-powerful being but he's not terribly impressive here. Sure, he can augment the mutant powers of others, but he does little that makes him seem so invincible. We are constantly told he's powerful, and occasionally he'll show it against humans who couldn't hurt him anyway, but against the X-Men he doesn't seem so tough, making for an underwhelming final battle. It doesn't help that the basic layout of the fight resembles the last two movies almost exactly. It felt fresh with 'First Class' but two movies later and one has to consider if it's time for another director to come in with a different approach. 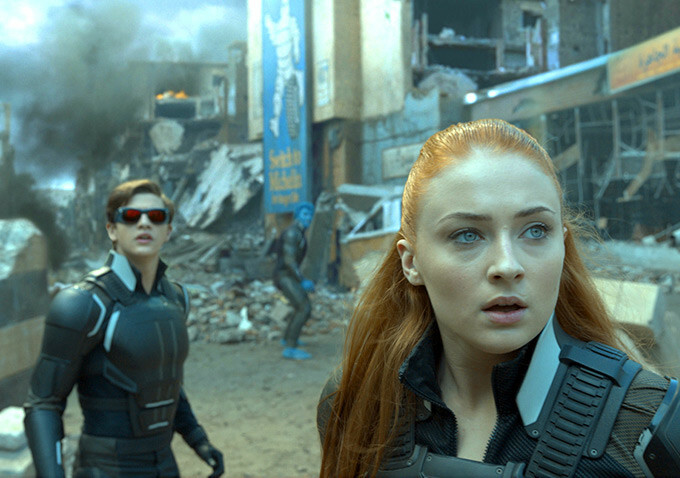 Whereas the prior two movies found ways to have fun with their '60s and '70s settings, X-Men: Apocalypse keeps it serious throughout, which is kind of a drag. The exceptions are Xavier's love-struck reaction to seeing Moira again (and who could blame him? ), although the circumstances surrounding that are pretty messed up. Another guaranteed to bring a smile is the return of Evan Peters as Quicksilver, who once again is given his own centerpiece slo-mo action sequence. Set to the sounds of The Eurythmics' "Sweet Dreams", Quicksilver's arrogant displays of mutant speed are a blast, even if the effects aren't quite as polished as before. As a life-long X-Men fan it's tough knocking X-Men: Apocalypse for what it gets wrong, but such a high bar has been set by the previous films that this one just can't measure up. As the franchise finally begins to expand with Deadpool, New Mutants, and others likely to be announced, hopefully this is just a quirk and not an evolutionary dead end.